Maleknejad, R., Sudagar, M., Azimi, A. (2014). Effect of Different Live Foods Source (Culex Larvae, Chironomus Larvae and Artemia) on Pigmentation of Electric Yellow (Labidochromis Caeruleus). International Journal of Advanced Biological and Biomedical Research, 2(4), 1287-1295. Rasool Maleknejad; Mohammad Sudagar; Arezoo Azimi. "Effect of Different Live Foods Source (Culex Larvae, Chironomus Larvae and Artemia) on Pigmentation of Electric Yellow (Labidochromis Caeruleus)". 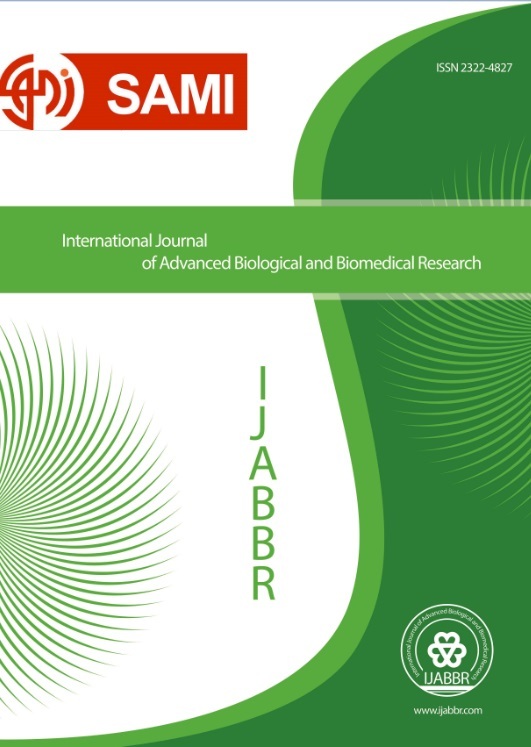 International Journal of Advanced Biological and Biomedical Research, 2, 4, 2014, 1287-1295. Maleknejad, R., Sudagar, M., Azimi, A. (2014). 'Effect of Different Live Foods Source (Culex Larvae, Chironomus Larvae and Artemia) on Pigmentation of Electric Yellow (Labidochromis Caeruleus)', International Journal of Advanced Biological and Biomedical Research, 2(4), pp. 1287-1295. Maleknejad, R., Sudagar, M., Azimi, A. Effect of Different Live Foods Source (Culex Larvae, Chironomus Larvae and Artemia) on Pigmentation of Electric Yellow (Labidochromis Caeruleus). International Journal of Advanced Biological and Biomedical Research, 2014; 2(4): 1287-1295.